In an environment of so many options, it is often very difficult to choose a good arrester supplier. This series of documents is presented to make this choice easier and, in the end, lead you to a power system with greater reliability. Arresters are not extremely high-tech products, and distribution class arresters are even considered a commodity. However, for both distribution and station class arresters, paying attention to detail in the design and production makes the difference in the quality of the arrester. The supplier of a quality arrester must certainly be a quality supplier. 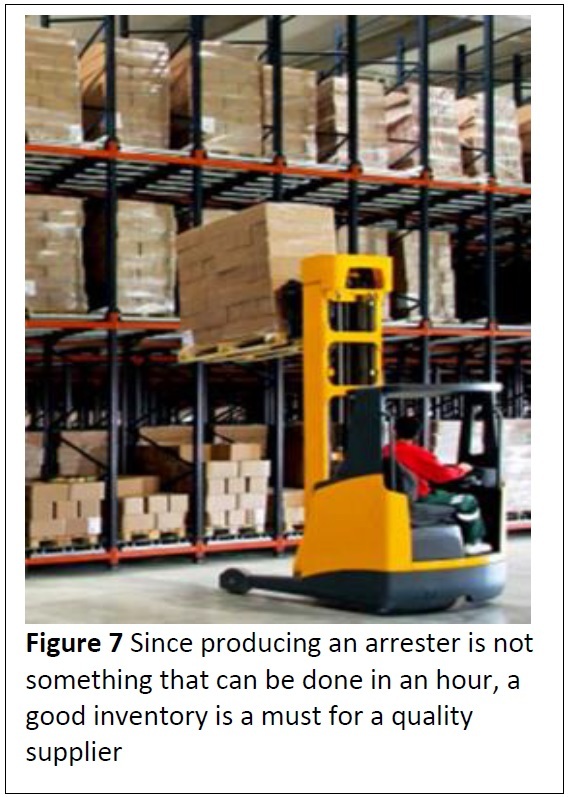 The aspects laid out in this article should be considered when purchasing an arrester with regard to the supplier. Product quality: Good quality arresters do not just happen; they are planned and produced. A good quality assurance (QA) program is an absolute necessity as the hallmark of a good quality supplier. To produce a quality arrester, quality checks in the form of testing above and beyond the minimum expectations (according to IEEE standards) are a must. 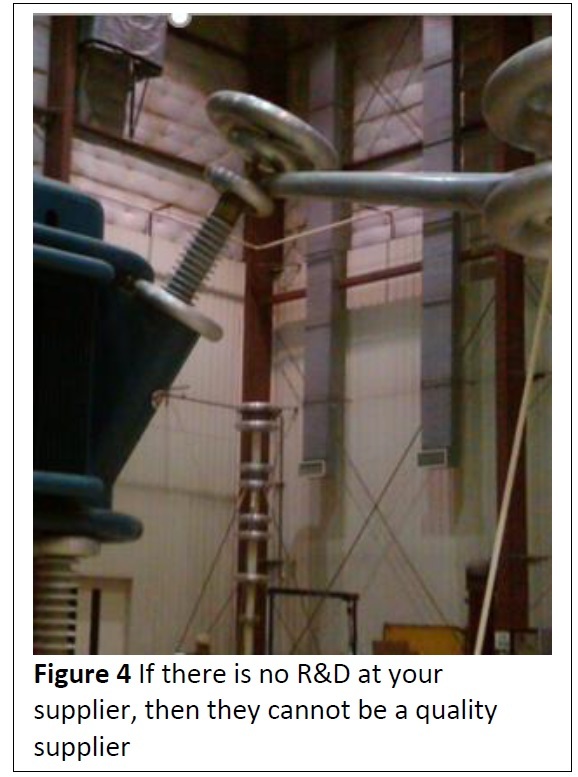 This was covered in detail in “What to Look for in a Good Quality Arresters,” so it will suffice to say here that a good QA program will include most, if not all, of the tests described therein. 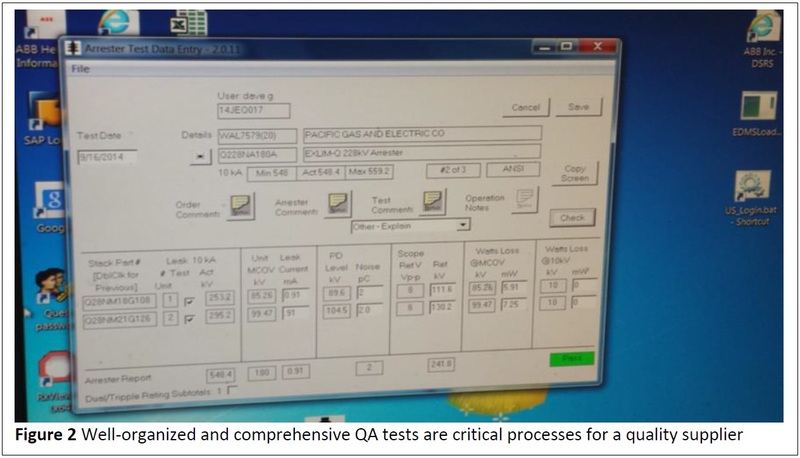 This includes but is not limited to thermal sensitivity tests, high current tests, routine Vref, and watts loss tests. 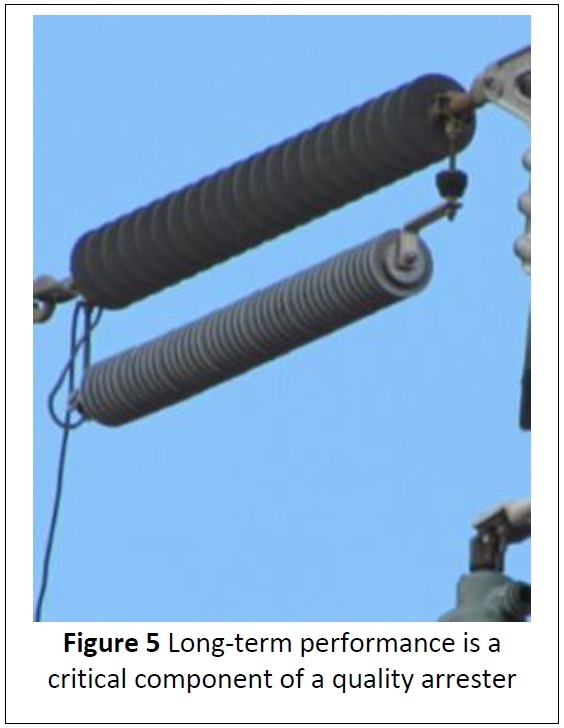 Process quality: The processes used to produce a quality arrester must be above average. ISO certifications are focused on this type of quality. The process used to make the arresters must be well documented, the operators making the arresters must be well trained, and the checks of these processes need to be routine. Remember, an ISO certificate only means that an audit of the process shows that it is the same as the documentation written about the process. A more in-depth look at the process should reveal the rationale and controls for each step in the manufacturing process. A good quality supplier will gladly welcome a customer visit and an opportunity to show the merits of their system. These processes are not public in nature, and, to get a real feel for a good quality process, a visit to the supplier is recommended. hold the responsibility for quality in the process. If each employee understands the process and feels responsible, a good quality product is much more likely. Quality must be more than a process being monitored by a team of QA people, because quality cannot be mandated; it must be understood by all involved. What can be said here is that controlling the microstructure of the finished disk is a must if a good quality arrester is to be achieved. The microstructure is defined as the configuration of the ZnO grains at a .1 to 100 micro-meter scale. Figure 4 shows a typical microstructure from a good quality disk. 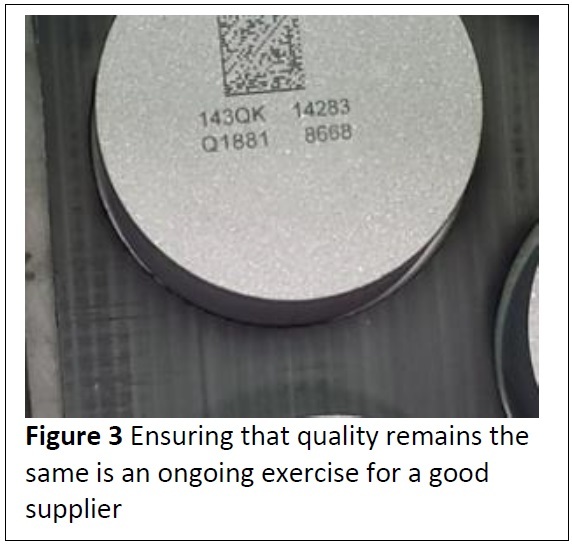 Each supplier of quality arresters may be a bit different, but controlling this microstructure on a routine basis is important in quality disk production. Another important aspect of a quality supplier is commitment to long-term research and development of arresters. A measurable characteristic of the supplier’s commitment to development is the number of patents the company holds on arresters or arrester components. Patents are not easy to obtain, and they usually come only from intelligent and hardworking individuals. A patent may or may not always be relevant to the product life, but the activity involved in creating and obtaining a patent is a sign of commitment of a quality supplier. Another sign of a good quality supplier is the number of active patent applications. Since patent grants can be months and years from the original application, a number of potential patents in the works is a sign of a supplier who is working to improve the quality of their products. Another measure of a quality supplier is financial commitment to research and development (R&D). It is usually given in terms of sales and not in actual dollars. A commitment of two to four percent of sales to product development is a good level in the arrester industry. Also take into account the number of people assigned to the development of products. This should include technicians, engineers, scientists, and others if they are fully committed to this endeavor. When attempting to measure the characteristics of a quality supplier, the R&D component is critical and should not be taken lightly. Since this is typically not published material, direct discussions and a visit with the supplier can clarify these questions. The idea that action speaks louder than words can be no better exemplified than by field service history. If an arrester model has been in service for 10–20 years without significant issues, it is fairly certain that this trend will continue. It is nearly impossible for a supplier of product that has a high failure rate or a history of recalls to be considered a quality supplier. One of the first requests to a good supplier should be: “Show me your field history data.” Although a newcomer or new product introduction may not have field history, in both of these cases, the new product should have used components that have a long history of good quality in another product. Additional support for a new product can be found in that when new products are introduced a one- or two-year trial or accelerated trial should be used. Fortunately, in the arrester industry, there are several accelerated aging tests that stress the external components far beyond normal use, and, if a new model passes these tests, it is very likely to last 20 years in the field. for help from the experts sooner or later. A quality supplier will be able to not only supply you with the answers to your questions but also provide alternative options. New applications, such as overbuild arresters and transmission line arresters, are not very well understood yet so should questions arise, you should be in good hands with a good quality supplier. 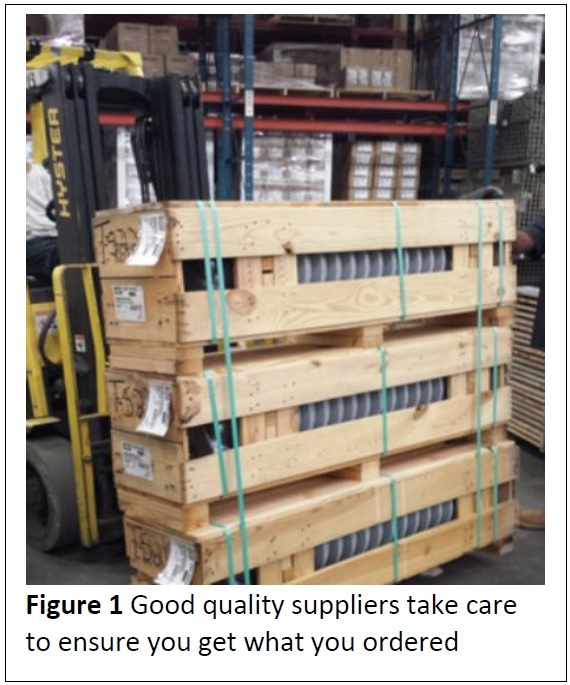 On-time delivery: Perhaps one of the most important aspects of a quality supplier is on-time product delivery. There are only a few business issues worse than not having a product that you ordered delivered when expected. This has a ripple effect that that can cause the loss of a great deal of time and money. In an era when system outages for transmission lines and substations are very hard to schedule, a late delivery can put a complete project on hold until the next outage can be arranged. A quality supplier of arresters knows this and makes sure you know when a product will be delivered. Short lead times: Short lead times are an issue for special and one-time deliveries. Many utilities today have long-term contracts that require on-time delivery of repeat orders, and these are not subject to lead times; but, for a one-time or first-time order, short lead times are characteristic of a good quality supplier. Emergency Orders: Nearly every place on earth that uses arresters has potential emergency situations. Winter ice storms, summer hurricanes, earthquakes, tornados, and floods can all cause an emergency need for surge arresters. A quality supplier keeps storm stock and should be able to supply arresters on very short notice. In times of need, there is no substitute for reliable and fast arrester delivery to get the lights back on. When dealing with a supplier, the way you are treated is one of the biggest signs of quality. Whether it is in person, on the phone, or online, efficient use of your time in making transactions is vital. A quality supplier will make sure that your needs are met from the beginning to the end of the transactions. A good supplier will have a website that gives you all the data you need when considering their product. The website should be easy to navigate and make it easy to retrieve datasheets. If you cannot get what you want from the website, then a personal interaction should be quick and efficient. A knowledgeable sales rep is a must for a quality supplier. If you have a problem, this interface rep can make all the difference in a quick solution or a long, drawn-out issue. When interacting with your supplier, getting a sales price or quote should be a quick and easy process. If not, you are not dealing with a good quality supplier. It is not uncommon for an arrester to be overloaded, either from the environment or from an internal system anomaly. 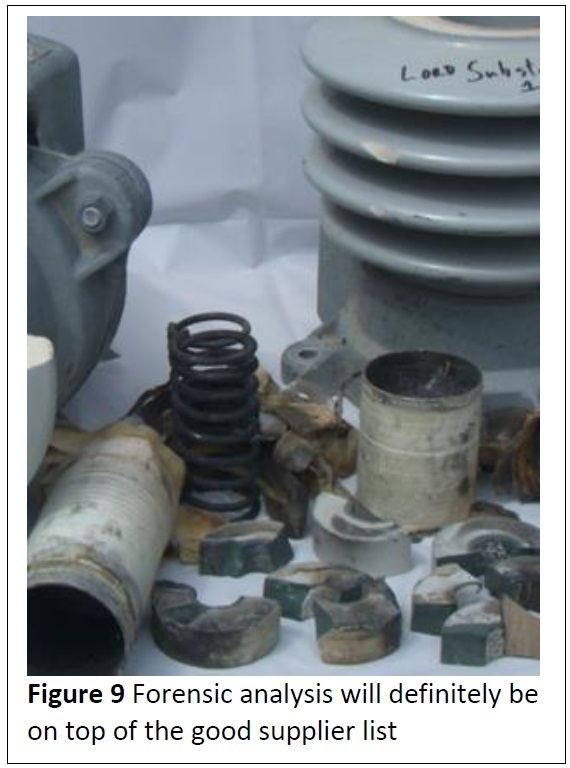 Whichever the case may be, many times it is important to know why an arrester appeared to fail. A quality supplier will supply this service for free. Their team of engineers will do their best to determine the root cause of the overload. Knowing if the problem is something from the system or from a faulty arrester is very important in knowing how to mitigate the issue. Never just accept that arresters fail. Yes, at times they do fail, but more often they do not, and this should be the accepted state of performance. If they fail, do something about it. A good quality supplier will help you in this area a great deal. 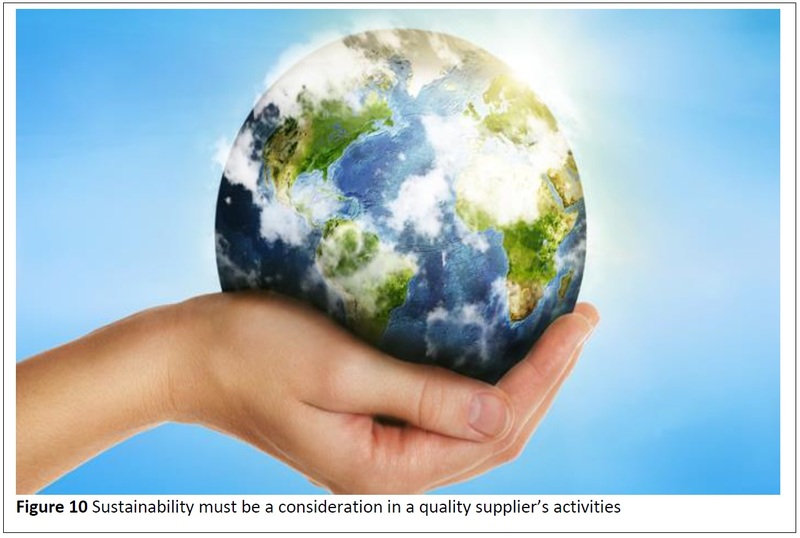 A supplier’s approach to and attitude toward sustainability can tell you much about the supplier. If your supplier has a healthy respect for resources and the environment, it will show in many different ways. Product design: If the arrester is designed with an efficient use of material, this is a sign of a supplier that is concerned about the environment. Packaging: If the packaging is easy to use, minimal in volume, and recyclable, this is another sign of an environmentally conscious supplier. Process and product scrap: All processes produce some level of unusable byproduct or product. The lower the quantity of this, the more efficient your supplier is, and most likely a candidate for quality supplier. Product manufacturing: Efficient methods are a must for financial reasons and, even more, for sustainability reasons. If your supplier is producing an arrester that is smaller in size than it used to be, the effects of less material will result in a smaller carbon footprint, which is better for the environment. This is something to look for in your plant visit because, again, this would not be advertised publically. It is not always obvious what to look for in a good quality arrester supplier. The points discussed in this document are intended to help you assess a potential or existing supplier and to help you know what to look for and discuss when visiting or talking to your supplier. 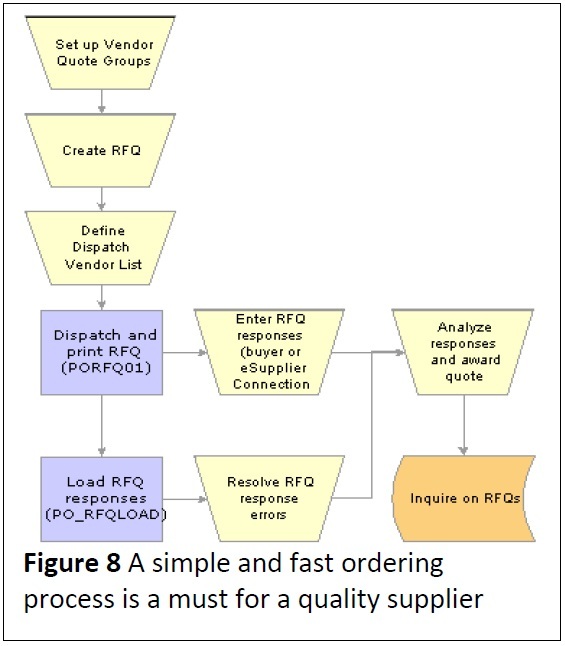 Don’t hesitate to request a visit to your supplier to see their process first hand. The quality of your supplier is a direct reflection of your supplier’s product. Make sure they both offer the quality you are looking for.